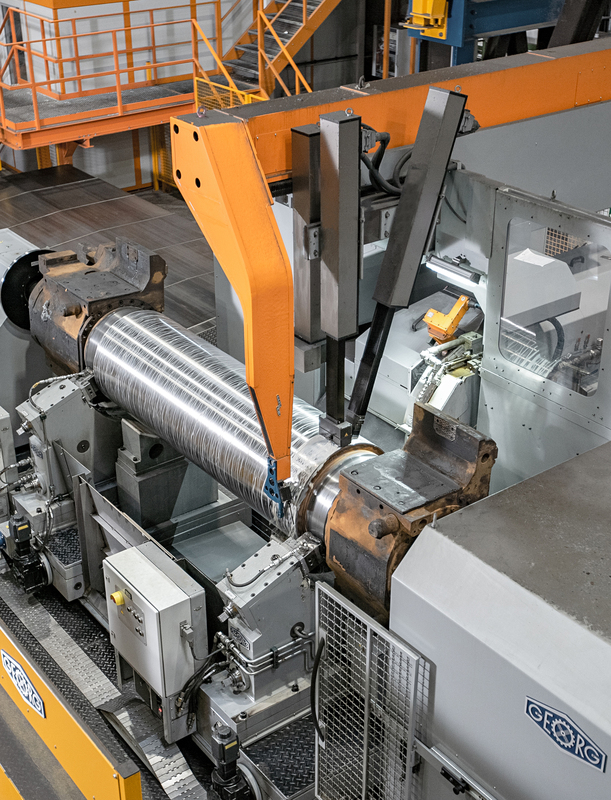 The GEORG ultragrind 25 roll grinding machine in operation in the roll shop of Salzgitter AG’s hot rolling mill is the first in the global steel industry to use CBN abrasives. 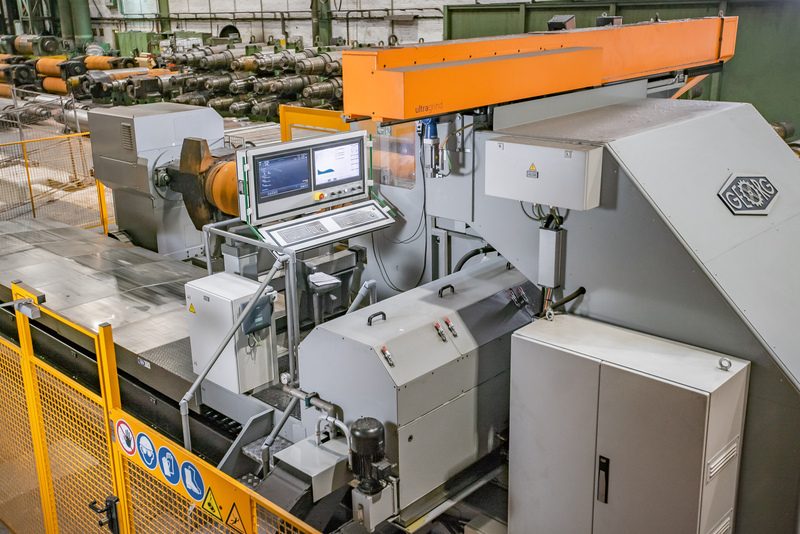 As well as achieving a grinding throughput three times greater than the machine previously used, it dramatically cuts set-up, testing and idle times. 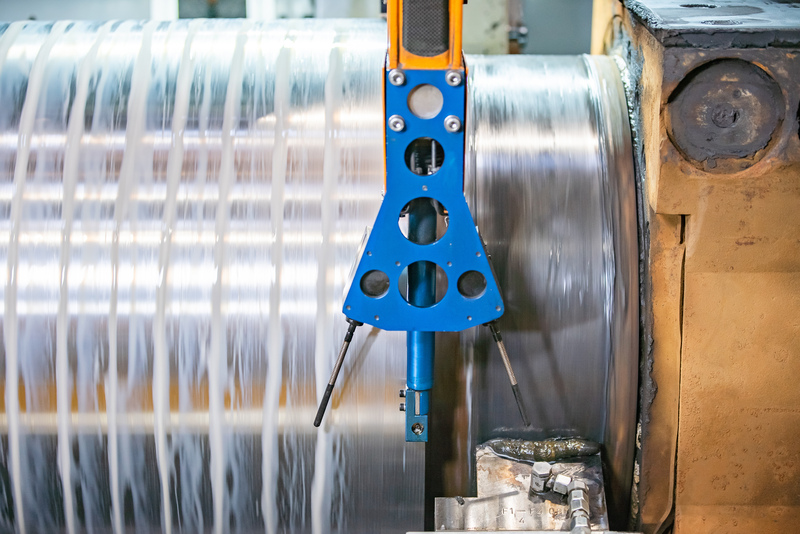 While in the automotive industry and other sectors CBN abrasives have become well established, in roll grinding shops for hot rolling mills there is still some way to go. In the roll shops performance features like high wear resistance and short grinding times matter more than the surface quality. Roll grinding machines of the GEORG ultragrind series perform machining and measuring within one sequence without having to reclamp the workpiece. This alone provides a significant reduction in machining times and higher efficiency compared to conventional machines. With the introduction of CBN abrasives, the company has now taken a further leap in innovation: Never before have CBN abrasive tools been used in roll shops of hot wide strip mills in the steel industry. These tools are superior to other abrasives in that they are able to machine even rolls of high-strength materials, such as HSS grades featuring a hardness between 83 and 87 Shores C, with highest precision and most efficiently. 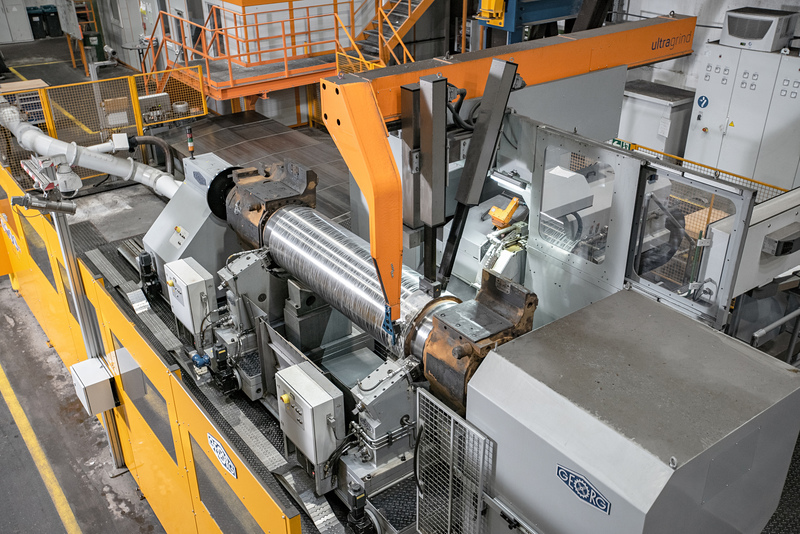 The new machine at Salzgitter AG, which passed all acceptance tests in June 2018, can grind HSS work rolls with diameters of up to 1,000 mm and weighing up to 25,000 kg in a fully automatic process. Both conventional and CBN abrasives may be used. A major decrease in machining times can be attributed alone to the higher grinding throughput achieved by CBN-based abrasive tools. With the new machine average grinding times have been reduced by more than 30 percent. Considering also the time saved through the possibility to perform the measurements and crack testing online, roll grinding takes more than 50 percent less time now. The grinding of HSS rolls with conventional abrasive tools takes 40 to 45 minutes on average. The new machine needs only 20 minutes. This performance improvement is largely attributable to the performance of the GEORG measuring system. Both the shape and eccentricity of the rolls are measured automatically - during grinding! Also roughness measurements, crack testing and demagnetizing have been integrated into the system and are performed automatically. By bringing together CBN-based grinding, measuring performed during grinding and a CNC system adapted to the use of CBN abrasives, GEORG machines also achieve higher grinding precision and a much higher surface quality than conventional systems. Dr. Wieland Klein, Head of GEORG’s Machine Tool Division, explains the advantages of having to clamp the work piece only once for three operations - grinding, measuring and crack testing: “The availability of real-time measuring results guarantees that no more material than absolutely necessary is removed. This means shorter grinding times, longer roll life times and cost savings in general. As well as the use of CBN abrasives, another highlight of the GEORG ultragrind 25 is that it can machine the rolls complete with chocks, including all types of pinch rolls. Thus frequent and tedious removals of chocks prior to roll grinding have become a thing of the past.